Anemia is a decrease in the number of red blood cells (RBCs) or decreased amount of hemoglobin in the blood. Anemia is the most common disorder of a pet’s blood. There are several different kinds of anemia caused by a variety of underlying causes. Hemoglobin (found inside red blood cells) carries oxygen from the lungs to the rest of your pet’s body.Anemia leads to a lack of oxygen in your dog’s and cat’s cells.Depending on the extent of the anemia, there area number of different clinical signs. Your pet seems weak and tired. The inside of thegums and eyelids are pale or white instead of pink. •	Pica, which is consumption of nonfood-based items such as dirt, paper, wax, grass, ice, and hair, may be a symptom of iron deficiency. Anemia is caused by blood loss: from parasites, such as fleas or hookworms; immune disorders, where the body’s immune system attacks the red blood cells; internal bleeding, such as what occurs with spleen tumors and subsequent blood loss; and chronic diseases, such as hypothyroidism or ongoing skin infections. SEE YOUR VETERINARIAN. Anemia is a sign of a potentially severe underlying disease. 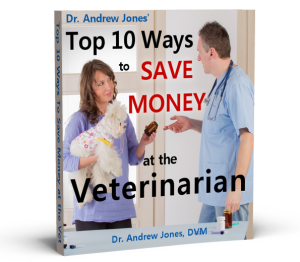 It is important that your veterinarian diagnoses the cause and begins appropriate treatment immediately. NO VEGETARIANS HERE. Add food that is high in iron and it will boost your pet’s ability to carry oxygen. Cooked liver is a great source of iron: give oneounce a day to your cat and four ounces a day to your dog. VITAMINS. B vitamins are an important component of the blood cells’ ability to carry oxygen. A vitamin B complex liquid elixir can be purchased at your local pharmacy. Give it twice daily. VITAMIN C (250–500 mg twotimes per day) helps the body absorb iron. Dietary sources include citrus fruits and juices, tomatoes,broccoli,and cauliflower. MOLASSES: Blackstrap molasses, also known as pregnancy tea (onetablespoon per day in a cup of hot water), is a good source of iron, B vitamins, and minerals. Blackstrap molasses is also a very gentle laxative. Some veterinarians have had success using acupressure in nitrating a variety of immune-related disorders. To help strengthen the immune system, apply pressure for one minute three times daily to the GV14 point, located at the base of the neck between the shoulder blades. Three herbs can be helpful: NETTLE, RED CLOVER, and BURDOCK ROOT. These can be purchased at most healthfood stores. Give one teaspoon per ten pounds of body weight once daily. Burdock is the most important of these threeherbs. YUNNAN PAIYAO. A Chinese herb often used. Dose:one-half capsule per ten pounds body weight threetimes daily. Dose: one teaspoon per pound of food fed daily for dogs,one-half teaspoon daily for cats. Nutrients include: protein, vitamin C, B-complex (including B12), vitamin A (beta-carotene), E, and K, iron, potassium, calcium, phosphorus, magnesium, and omega-3 fatty acids. PHOSPHORUS. A common remedy for many types of bleeding. I would dose it at one to three pellets of phosphorus 30C twice daily for three to five days. I was looking for a natural treatment for anemia in cats due to chronic kidney disease. I found this website and noticed Dr. Jones advises giving 1 oz. of liver once daily to cats with renal failure. I have read on other websites to give one piece of cooked chicken liver WEEKLY to a cat, since liver can cause a buildup of Vitamin A in the cat which is dangerous. My cat is 19-1/2 years old and acts like he is in excellent shape, which he isn’t. I’ve got to keep searching for treating anemia and kidney failure in cats.